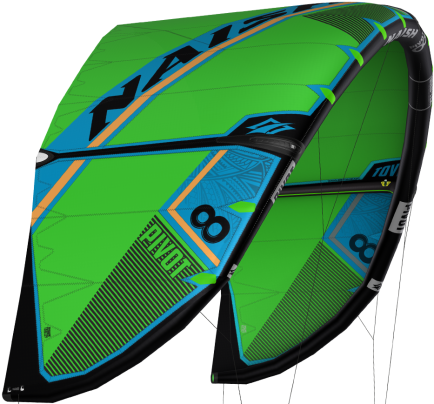 The Pivot emerges in the lineup as a smooth, all-around freeride/wave kite for a wide range of riders and styles. Its overall structure and ability to pivot on a small axis of rotation provides quick and easy turning, intuitive steering and predictable power development. It features a medium aspect ratio for substantial low-end power, a “sheet-in and go” feel, easy jumping and great upwind performance. Thanks to its ability to make precision turns on a small axis with minimum power increase in the turn, the Pivot is also the perfect tool for smooth kiteloops. NEW 2015 Lightweight Solid Frame Construction. Torsion transmission to entire LE and low drag on water for relaunch. 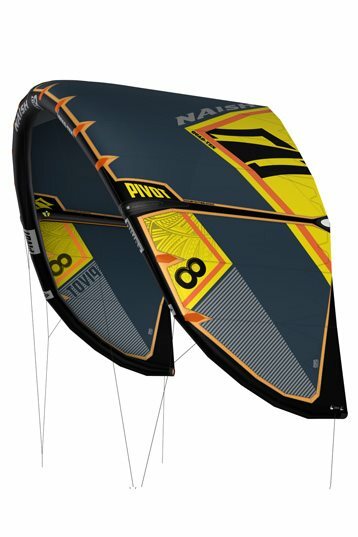 I really enjoyed riding the Naish pivot 2015. This kite is great for beginners and advanced riders because the kite is very friendly and starts to get a little bit aggressive when it's already possible to take a smaller kite. This kite is perfect when you want to learn jumping and a lot of freeride tricks. I used my Pivot a lot for big air jumps and some oldskool tricks with 22-35 knots. Landing the jumps is easy, even while using a downloop, because it doesn't give you a big pull. What i like about jumping with the Pivot is the way it put's you back on the ground so softly. 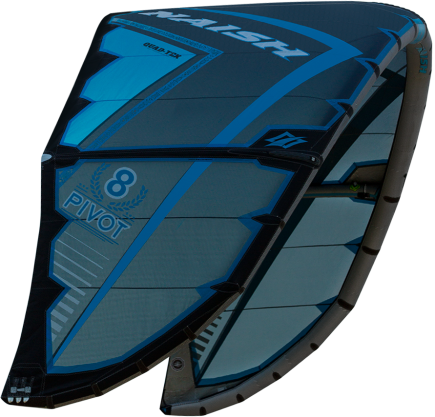 This kite is perfect for freeriding, cruising, waves and big airs. My personal Woo record is 12.2m high with 6.5 seconds airtime. 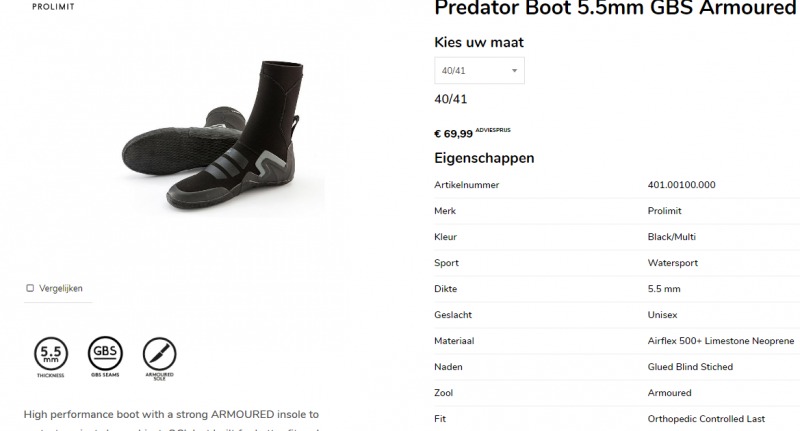 curious about the new 2016 pivot? Check out my review soon. Had 1 session with the Naish Pivot 7m in conditions where the wind was picking up slowly. During the 20/24 knots the Pivot was great. Good feedback, nice upwind and very stable. Had some good strapless floaty jumps with down loops at the end. The Pivot was nice and playful with great control. The Pivot feels fast and nimble in the air. Medium bar pressure and smooth power delivery add to the mix to make the Pivot a joy to fly. We found that the hangtime and float was exceptional with the Pivot which definitely makes it a superb choice for "freeriders". Another major positive was that this kite maintained back line tension even with full depower pulled on. We had a little trouble when rolling the kite during a big crash. Not a big deal as most kites will do strange things when you roll them but worth noting. In the search for a kite that will do everything, the Pivot is a great choice. This kite is especially good for those of you who divide your time between cruising/jumping and riding waves!